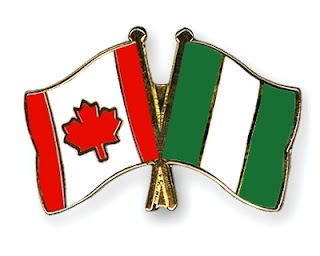 Easiest way to Relocate to Canada from Nigeria. Approximately 250,000 people move to Canada each year. Canada is one of the largest countries in the Northern America and is also the second biggest country in the World. At the moment, over 33 million people live in Canada. Over the half of the Canadian population is made out of the immigrant people. In this article you will be given detail information about the easiest way to relocate to Canada from Nigeria. 2. Gather important documents before you move. Two (2) copies of a list of items that are arriving later and their money value. 3. Complete the appropriate application. Choose the application that is most relevant to your situation to apply for your visa. For example, if you are self-employed and planning to move to Canada, then you would need to fill out a different application than someone who is planning to move to Canada as a caregiver for someone else. Skilled workers can complete an Express Entry profile online if you want to speed up the process of moving to Canada. This profile includes information about yourself, your language skills, and your credentials. After you complete your Express Entry profile, you will also need to register with the Government of Canada’s Job Bank (unless you already have a job offer). If you are applying for a self-employed, start-up visa, Quebec-selected skilled worker, family sponsored visa, or a provincial visa, then you will have to mail in your application. The application fees can be quite high, especially if you will be requesting entry for a spouse and other dependents as well. For example, the application fee for an Express Entry application for an individual would be $550 Canadian dollars. However, if you are bringing a husband or wife and child as well, then the total application fee would be $1,250 Canadian dollars. Make sure that you pay your application fee in full or your application may not be processed. Keep in mind that it can take a while to get a response on your application. Even if you apply using the Express Entry form, you may have to wait for up to six months to get a response. Therefore, make sure that you apply as soon as you know that you want to move to Canada. Don’t wait until a month or a week before you want to go, get the application in right away. If your application is denied, then you will have to reapply and you should only do so if your situation changes in a significant way. You cannot appeal the decision. Although Canada offers free health insurance to residents and citizens, you will need to purchase private health insurance to ensure coverage for up to three months after you first arrive in Canada. The providers will vary depending on your province. If you are a refugee coming to Canada, then you may be protected by the Interim Federal Health Program (IFHP) and not need to purchase private insurance. All others will have to secure private health insurance until they receive a government health insurance card. How Long Does it Take to Get Canadian Permanent Residence?